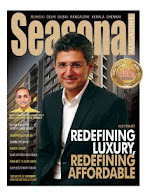 Seasonal Magazine: Coal India IPO Nearer - Are There Any Unique Prospects for Investors? Coal India IPO Nearer - Are There Any Unique Prospects for Investors? India’s largest and the world’s third largest IPO is coming, with some estimates putting the final size at Rs. 17,000 crore. With an operating margin of 30%, cash reserves of over Rs. 39,000 crore, quite reasonable offer valuations, and an ambition to grow quantitatively and qualitatively despite its already world-dominating production, nobody is doubting whether Coal India’s IPO would be a success. 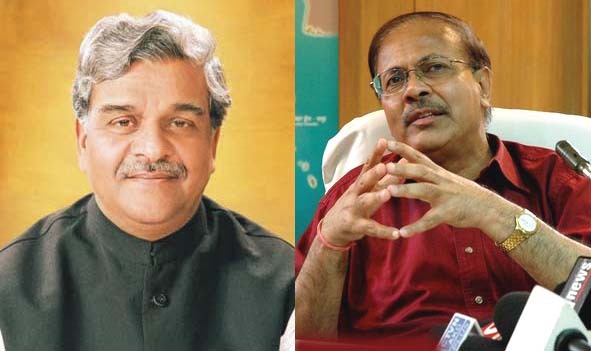 Sriprakash Jaiswal, Minister of State for Coal, and Partha S Bhattacharyya, Chairman of Coal India, are steeering this IPO well, but investors will also be looking at the kind of capital market stewardship Coal India will accord its scrip, post-listing. If CIL can achieve this investor confidence, this public issue can set records in subscription. Ever wonder why PSU banks are all-time favourites among discerning investors – both retail & institutional investors - despite most of them trading in the sub-100 and sub-500 price ranges? It is just because they were offered to the public at reasonable valuations, and from those levels, most of them have at least tripled in value within a few years time. And ever wonder why some of the big brand names of India Inc have failed to enthuse the investing public? Again, it was a case of valuation, with many private sector giants in power & real estate sector offering their shares at astronomical valuations, but with no follow-up by way of actual performance in income or profits. Now, when Coal India Ltd goes for its IPO in the second-half of October, the good news is that it will be on reasonable valuations, probably on a price-earnings ratio of 17-18. CIL scrip’s book value will also be high due to its capital intensive operations, and together, these valuations present a reasonable case for the investing public as Coal India has some unique potential. Unlike the power sector, which has the growth potential but relatively low and steady margins, Coal India is an organization that has succeeded in creating an operating profit margin of 30%. The growth projections are good with an aim to double its turnover within a timeframe of 3 to 5 years. Though technically not a monopoly, Coal India enjoys a head-start in this sector, as well as the patronage from Government due to its demonstrated growth curve. The strength of Coal India’s financial health will be clear from just one metric. Normally, companies go for their IPO to enter a higher orbit of capex and/or correct the debt-equity ratio. CIL doesn’t need an IPO for either of these objectives. Not that it is not having a sizeable capex plan. But it can fund the Rs. 10,000 crore plan very well on its own as it is sitting on cash reserves of over Rs. 39,000 crores. Because of this crucial difference, Coal India is not issuing any fresh equity on its part, and the whole of the issue – which can even be upwards of Rs. 17,000 crore - is just a divestment by the only promoter, Government of India. This prevents equity dilution, which is a big plus for the newly entering investors. Coal India will have only a 10% public float, which in itself can make the scrip dearer and enjoy progressively higher valuation over time. The Government’s recent corrective stance that PSUs won’t come under the compulsory 25% public holding norm has also come as a blessing for CIL, as this will ensure that the public float will remain 10% for long, until the company plans for an FPO, that too with fresh equity. In fact, the company will have only 9% as free float for now effectively, as 1% of the issue will be reserved for Coal India employees as ESOP, which will obviously have a lock-in clause. Even more importantly, factors like the low float, the huge reserves, & the significant ESOP signal that Coal India will be free to deploy tools like a bonus issue in the coming quarters or years to reward all stakeholders. With the IPO and listing, Coal India is also entering some of the notable national and international compilations. Inclusion in Fortune 500 and Maharatnas are just two examples, where the listing clause was preventing CIL’s inclusion. The company will also be the largest publicly held employer in India after the IPO. Internationally, Coal India has been gathering much attention as not only this globe’s third largest IPO after two Chinese banks, but for some good performance in their core segment, as well as in managing human resources. Recently Coal India and its Chairman Partha S Bhattacharyya won a couple of Asian HR awards at Singapore. World’s largest coal producer is also planning for strategic tie-ups with American, Australian, & Chinese mines to better its output quality and increase its dominance. In India too, the company got a shot in its arm when the Cabinet decided in its favour on the go/no-go area debate proposed by the environmental ministry. In some ways the decision was ethically sound, as CIL has often demonstrated concern for the environment, their massive afforestation program being one. The world is taking note of this IPO for one more reason. Coal India has been able to succeed so far despite suffering from geographically poorer quality coal, and the mandate to provide almost 50% subsidy compared with international coal prices. In a scenario where its coal quality improves due to international tie-ups and investment in a new washing facility starts delivering, as well as more deliveries becoming non-subsidized, Coal India stands to have a significantly better profit margin in the years to come. The main thing investors will watch out for is the kind of stewardship for the CIL scrip in the capital markets, post listing. If Coal India can deliver on that front by meeting stringent analyst requirements, as well as ensure value multiplication for its investors quarter-to-quarter, fiscal-to-fiscal, as much as it performs in ensuring its actual growth, there is no reason why this can’t be one of the most significant wealth creation stories that public can safely participate in. Indications of such stewardship are already coming in with plans on to have high-profile anchor investors for the IPO, a step that will be taken by a PSU for the first time.